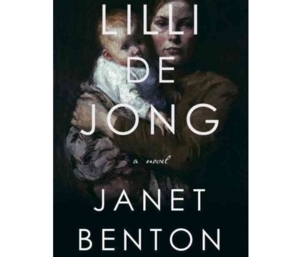 Mon, March 19, 2018 6:00 P.M.
Join us for a conversation with author Janet Benton about her debut novel Lilli De Jong. In 1883 Philadelphia, an unmarried Quaker mother has few options when she keeps her baby, rather than give her up to one of the city’s orphanages. Her life is further upended when she loses her job as a schoolteacher, her family’s support, and her dreams with her fiancé. An NPR Best Book of 2017, Lilli De Jong considers the sacrifices that are often asked of mothers. Lilli De Jong is author Janet Benton’s debut novel. Benton owns The Word Studio in Northeast Philadelphia, which supports aspiring writers through mentoring and workshops. Authors Up Close is a series that seeks to build connections between local audiences and authors.This program is part of the Free Library of Philadelphia's Center for Public Life.